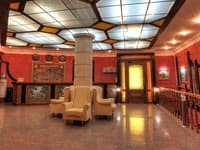 Cozy and spacious apartments, located in the central part of Kiev on the street. Gorky 17-b, at 5-7 minutes. walk from st.m. "Lev Tolstoy". Apartments "Hata" are equipped with all necessary furniture, household appliances, TV, air conditioning, washing machine and telephone. For those who want to cook independently there is a kitchen fully equipped with all necessary kitchen utensils (fridge, gas stove, microwave and electric kettle). Guests have free access to the Internet. By arrangement, transfer to / from the airport and railway station is possible. Near the house there is a huge selection of shops, boutiques, restaurants, cafes and other cultural and entertainment places of the capital. In walking distance the main street of the capital Khreshchatyk, the park named after TG Shevchenko, the main "red" building of the Kiev National University. 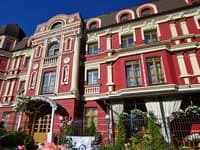 T.Shevchenko, the National Sports Complex "Olimpiyskiy", the Kiev Academic Operetta Theater, the Kiev Planetarium, the Kiev cinema, as well as a large selection of shops, boutiques, restaurants, night clubs and other cultural and entertainment centers of the capital. The reception is open 24 hours a day. The distance from the railway station is 3 km, from Borispol airport - 37.2 km. The bus station 4.9 km. 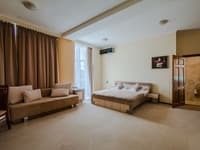 To the subway stations, the Sports Palace 850 m, Olympic 750 m.
Description of the room: Two-room apartments are fully equipped and equipped for comfortable living. 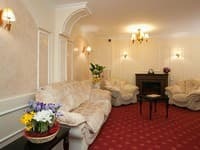 The hotel offers spacious rooms with good repair and modern furniture. In the bedroom there is a large double bed with orthopedic mattress, as an additional place in the living room is provided with a comfortable sofa bed. Also in the apartment there are all necessary appliances, bed and bath accessories, in the kitchen there are necessary dining and kitchen appliances. For a comfortable stay in the kitchen, a small plasma TV is installed. The apartments have unlimited high-speed Internet Wi-Fi. Центр города, очень удобное расположение. Есть все удобства. Очень комфортная Квартира. Nearby there are many different restaurants, cafes, pubs. 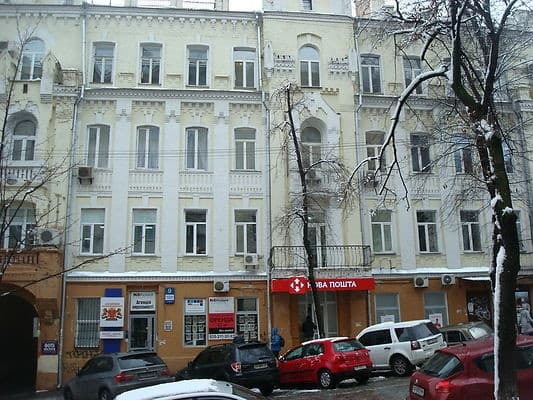 The apartments are located not far from the metro station "L'va Tolstogo" 1,3 km (5-7 minutes walk), on Gorkogo Str. 17Б, near public transport station.